- Get a new iPhone 7 and want to transfer photos to it from Mac. - Want to transfer photos which has been edited on Mac to iPhone. - Want to move photos taken by digital camera to iPhone through Mac. - Want to move the photos to iPhone from external hard drive using Mac. If you are in one of the above situations, how do you transfer photos from Mac to iPhone? No matter how, you can find an easier way here to do it without any hassle. Now, the best way to transfer photos from Mac to iPhone without iTunes is by using iPhone photo manager on your Mac. iMyFone TunesMate is perfect alternative to iTunes. It works as an iPhone photo/music/video/files manager which is fully compatible with iOS 12. With it, you can preview and manage all the photos on iPhone. It allows you to transfer photos from Mac to iPhone, and back up all or some specific photos to computer and restore backups if needed. Of course, you have the choice to delete unwanted photos. It wins thousands of loyal users every year and receives lots of positive reviews. Step 1: Download and install TunesMate on your Mac. Step 2: Plug in your iPhone and launch the application. Click on the “Photos” tab at the top. Step 3: Click “Add > Add File/Folder” and browse where your photos locate on Mac. 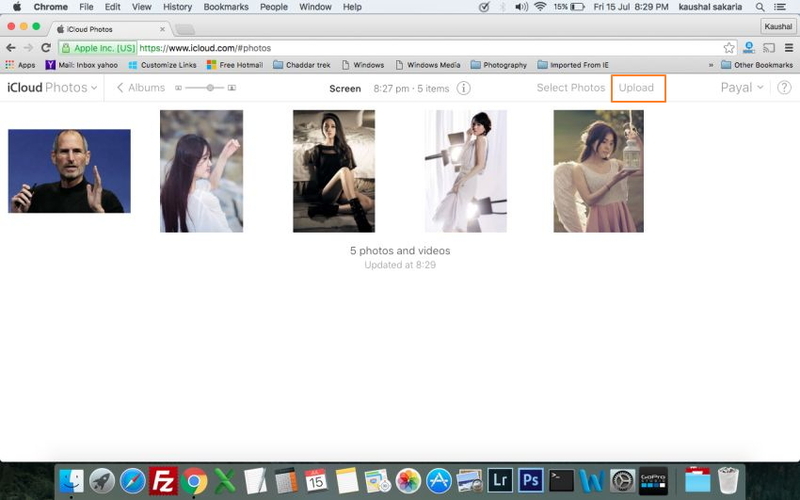 Select photos and hit “Open” to import the photos. It won't delete any data on iPhone when transferring. It does not require you to disable the “iCloud Photo Library”. You transfer iPhone photos to Mac and restore backups when needed. It can delete photos and the photos will be removed from "Recently Deleted" as well. You can easily share photos between many iOS devices and computers. You can transfer photos to iPhone from different Mac computers without erasing. Apart from photos, TunesMate also offers you an much easier and convenient way to manage or transfer iPhone/iTunes media files, like music, movies, videos, audiobooks, podcasts, playlists, and more. Unlike iTunes, it doesn't have the limits to delete existing data. It gives you much more control so that you can transfer data from or to iPhone as you like. Here is how to use iTunes to transfer your photos. It is suggested to manage your iPhoto library or put the photos you want in the same folder first. Step 1: Plug your iPhone into your Mac. Step 2: Open iTunes if it is not opened automatically. Step 3: Look for the icon that shows your device at the top left corner and click it. Step 4: Click “Photos” from the left sidebar. Step 5: Tick the box beside “Sync Photos” at the right panel. Step 6: Click “Copy photos from”, then click on “iPhoto” and “Choose folder”. Select the photos from "iPhoto" and browse a photo folder on Mac. Step 7: Under, you can choose to sync all the photos or only the selected ones. If you want to sync videos, you can check "Include videos." Step 8: Click “Sync” at the bottom to make it. You need to disable your “iCloud Photo Library” first. Or you cannot make it through this way. You can’t transfer your photos one at a time. The photos synced from iTunes cannot be deleted from iPhone unless you unsync them on iTunes. 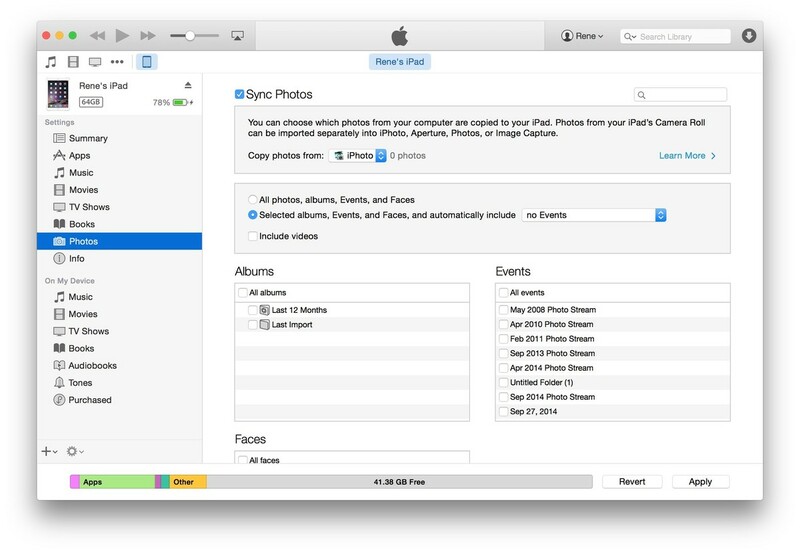 You can sync photos from only one computer to iPhone, or your iPhone will be erased. Step 1: Go to www.icloud.com on your Mac and sign in. Step 2: Click on “Photos” on the home page. Step 3: Click “Upload” at the top right corner. Step 4: Select the photos from your Mac that you want to add, then click “Open”. Step 5: Now that the photos are on iCloud, just enable iCloud on your iPhone and you should be able to access them. You need to have an good Internet connection to do it. iCloud only lets you have 5GB of free storage. If you need more iCloud space, you need to make a purchase. The whole process is basically just syncing of your photo collection, so it could result in deleted photos in your Photos Library. 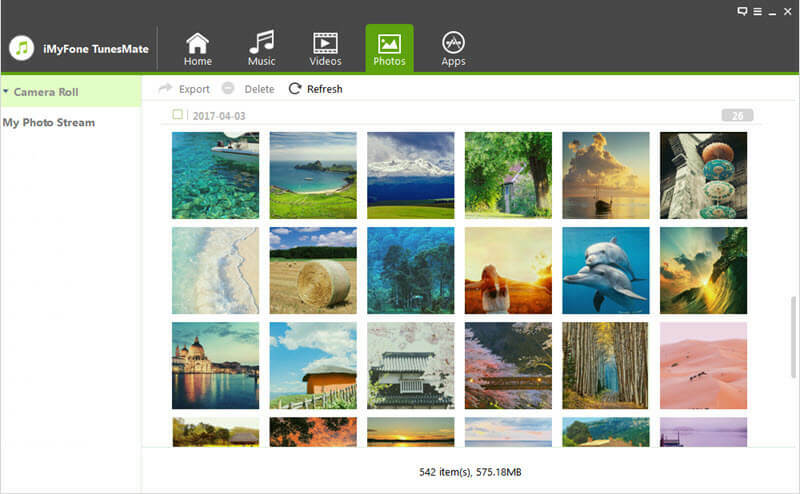 In addition, there are some security concerns with hosting your photos on cloud storage. Step 1: On your Mac, go to your “System Preferences” and click on “iCloud”. Step 2: Click on options in “Photos”, and enable “My Photo Stream” and “iCloud Photo Sharing”. Step 3: Open the Photos app on your Mac and click on “Activity”. Step 4: Click “Start Sharing”, and then give the album a name and hit “Create”. Step 5: Click on the left-hand side where you see the name of your new album. Step 6: Click “Add Photos and Videos” at the top right corner. Step 7: You can select photos in the new window that comes up. Step 8: Click “Add” at the top and they will be part of your new album. Step 9: Go to “Settings > iCloud” on your iPhone. 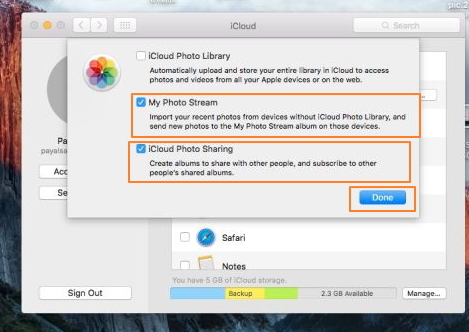 Step 10: Enable “My Photo Stream” and “iCloud Photo Sharing”. Step 11: Open the Photos app on your iPhone and tap on “Shared”. You should see the album of photos that you made on your Mac. You can only share photos in Camera Roll but not photos in Photo Library. You have to have an Internet connection for this to work. It also takes longer than using TunesMate usually.